After a very cold winter and a summer-like spring (exceptional heat caused a very early bud burst), flowering began as early as May 25th! The months of June, July and August were marked by heavy rains and rather cool periods. The mixed weather conditions undid much of the early progress the vines had made in the spring. Fortunately, atmospheric conditions allowed for a slow maturation which preserved the fresh fruitiness of the grapes, and which was ideal for all grape varieties. 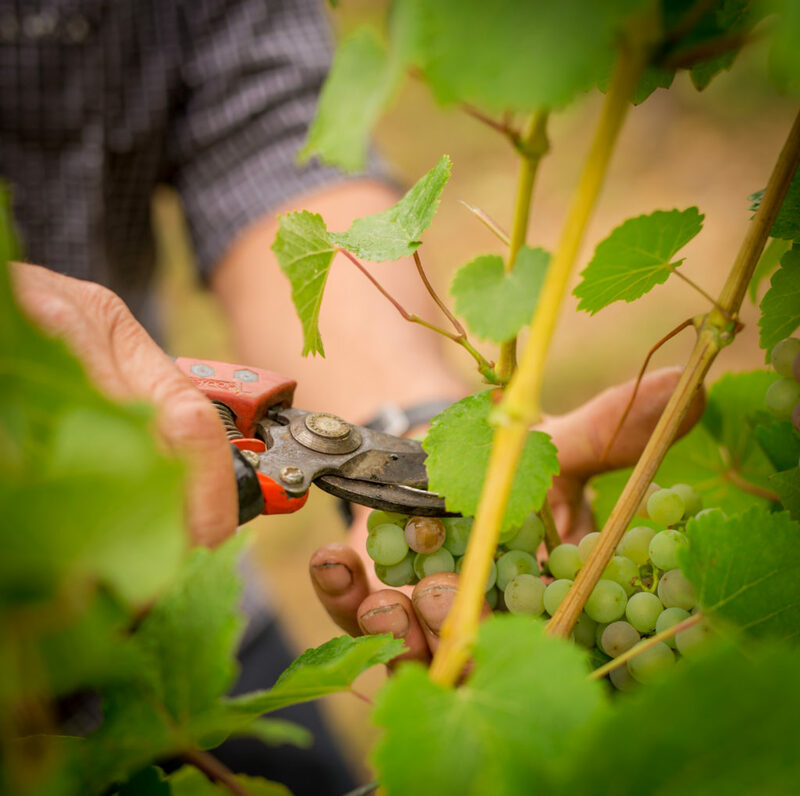 The harvest started when conditions were optimal for the AOC Crémant d’Alsace. Winemakers began by harvesting the most premature grapes. Alsace then experienced exceptional anticyclonic conditions in the month of September: warm days and cool nights combined with near-zero rainfall provided optimum conditions for grape-ripening. Wine growers then carefully yet hastily harvested the grapes at perfect maturity, once they’d reached a state of optimal health. This year’s harvest was truly customized: we adapted with each day. Quality and quantity were both in our favor. Still wines: September 5 (except for Riesling and Gewurztraminer: September 10). Late Harvest and Selection de Grains Nobles: opening on September 19.